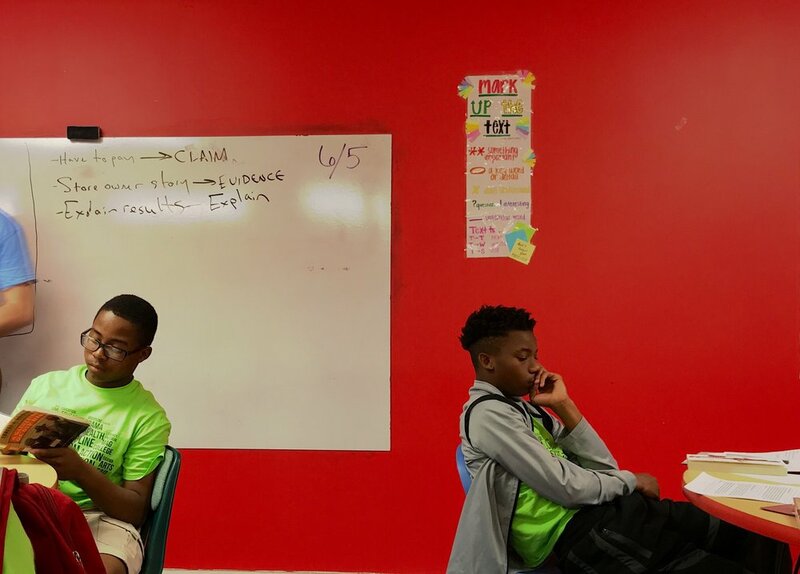 This week, Seventh Grade Freedom Fellows started off strong by learning about the culture of the SCFP: L.E.A.D. values (Love, Education, Action, and Discipline), ran their first Monday Mile, and were stars in Rhetoric, Reading, and Math. In Reading, students are reading Roll of Thunder Hear Me Cry or Ghost Boys. In math, they're applying ratio lessons to understanding more of the inner workings of the education system in the Delta, and in Rhetoric they are finding their voices through introductions to public speaking in mock debates, persuasive writing, and even raps. Mr. Dennis runs alongside Ms. Kern during the Monday Mile. 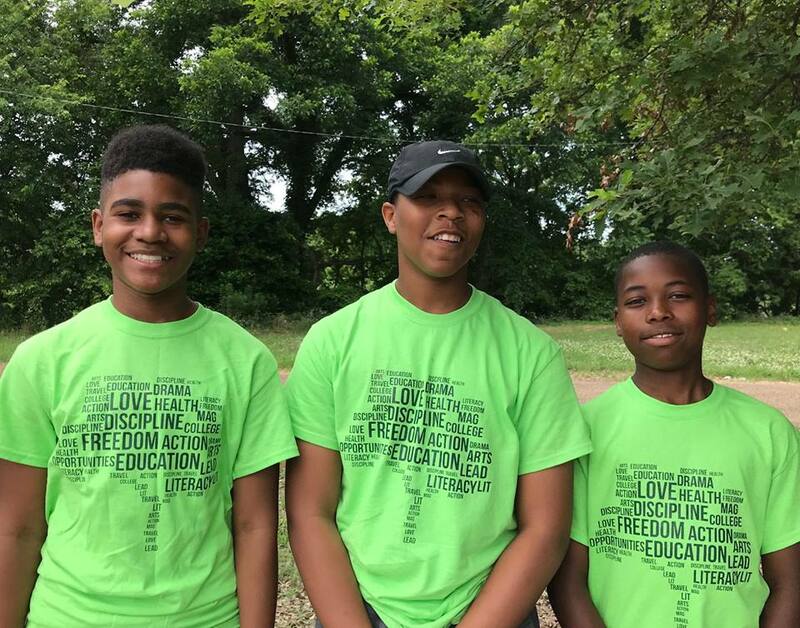 The kids braved the heat to complete their first mile as a baseline for progress and cutting down their running time during the duration of Freedom Summer. Mr. Coleman and Mr. Perkins read Gathering of Old Men and Dear Martin in Mr. Van Horn's class. 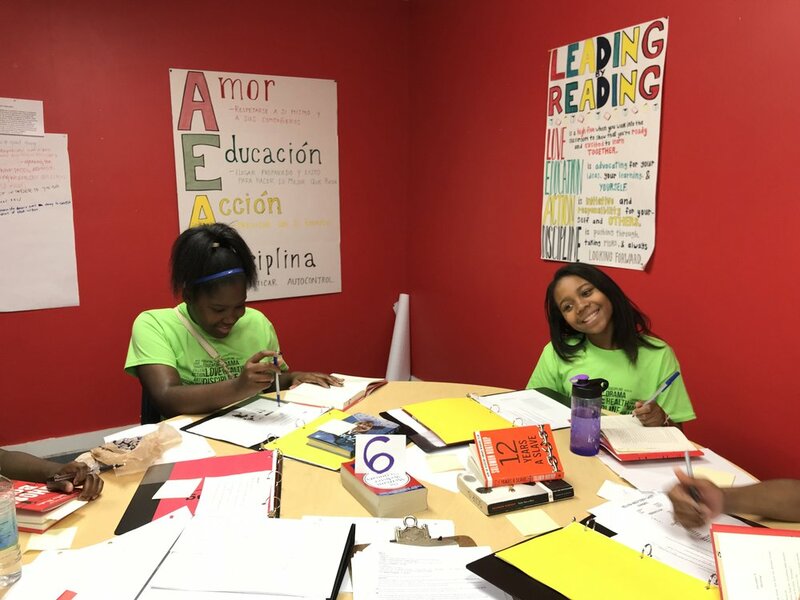 Freedom Fellows are learning about the Black Lives Matter movement and the Civil Rights Movement through literature.